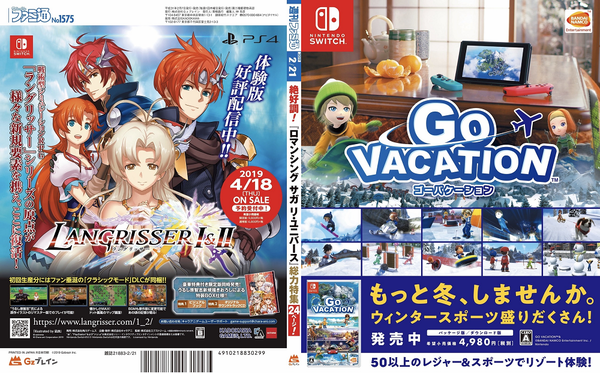 Two more ads for Switch games in the most recent issue of Famitsu. Seems like there's a good bit of buzz building for Langrisser I & II. It'll be very interesting to see how well that game does. As for Go Vacation, it doesn't seem like too many people decided to check that one out. Perhaps a renewed ad campaign like this can spur on some more interest.